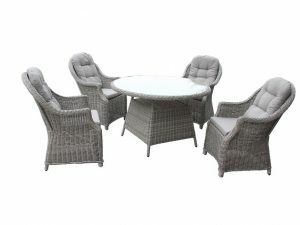 The Portofino is a real eye-catcher with its finest design. The aluminium frame has a sleek look while the cushions that invite you to take a seat and relax. 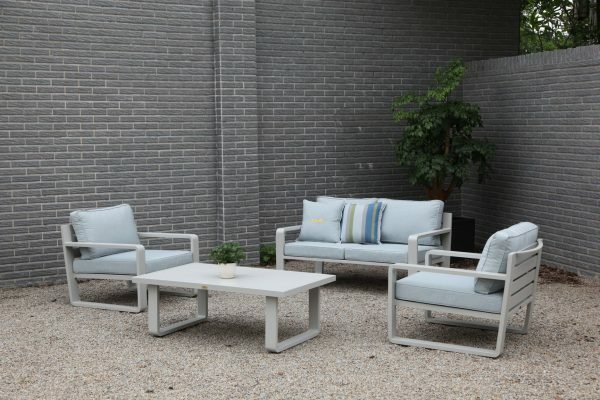 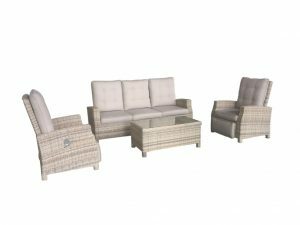 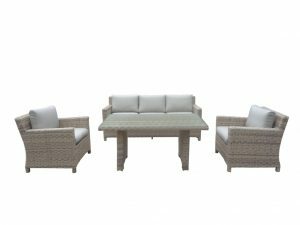 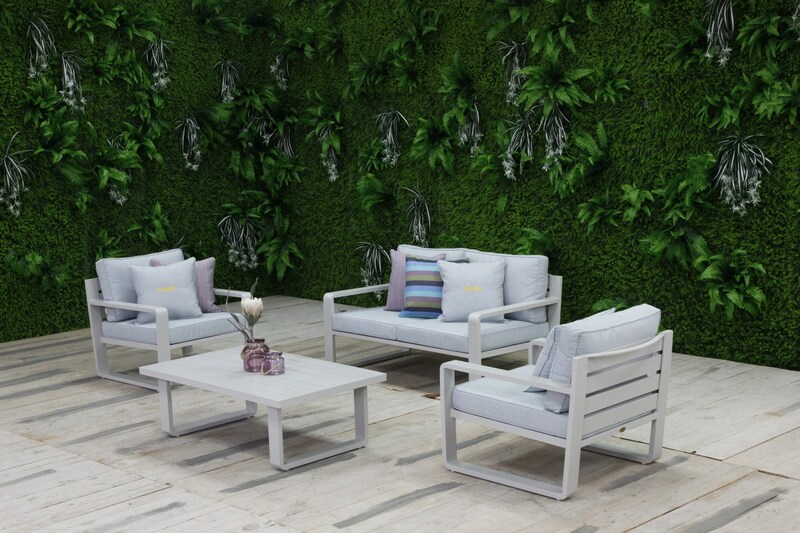 Portofino is characterised by its matt powder-coated aluminium frame in light grey and his fluffy cushions will make this set a really chill out place.